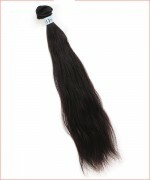 Minimum quantity for "Unprocessed Brazilian Human Hair Weave Extensions - Brazilian Wave" is 1. 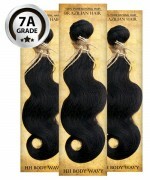 Our gorgeous natural Brazilian hair is made of 100% Raw/unprocessed Temple hair. 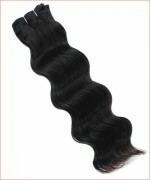 Our Unprocessed Hair can be flat or culry ironed for a sleek, straight, wavy and curly look. Unprocessedd Brazilian Cuticle Hair has intact cuticles and has not been chemically treated. Each 4oz~4.5oz bundle comes from one person. This hair is perfect for that all natural look. 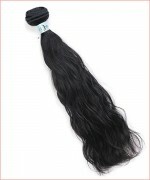 Our all of Unprocessed Hair is only available in its natural black and natural dark brown, but the hair can be dyed or rinsed to any color you desire. 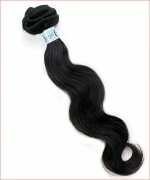 All Curly & Wavy Hair bundles lengths are measure when straight!! 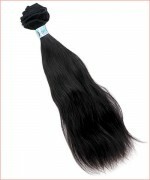 Styling: 2 Bundles is usually Needed for full weave. 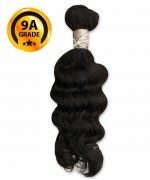 (for longer length you might need 3 bundles for a full weave). Dyeing / Bleaching : Recommended to consult hair professional. Especially when bleaching is necessary to dye to make light, vibrant, and colorful color. Shampoo / Conditioner : Wash and condition your hair with a rich moisturizing shampoo and conditioner. We recommend using moisturizing shampoo and conditioner for normal to dry hair. Brush and detangle hair before applying shampoo. 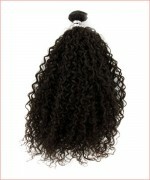 When washing and conditioning your Remy hair, do not tussle or pile the hair on top of your head-this creates tangles. instead gently shampoo and condition the hair rubbing in one direction only. Rinse thoroughtly to prevent product build-up which can lead tangling. If you need a physical inventory information, please contact us.